This Great Northern Diver photo was taken last year. 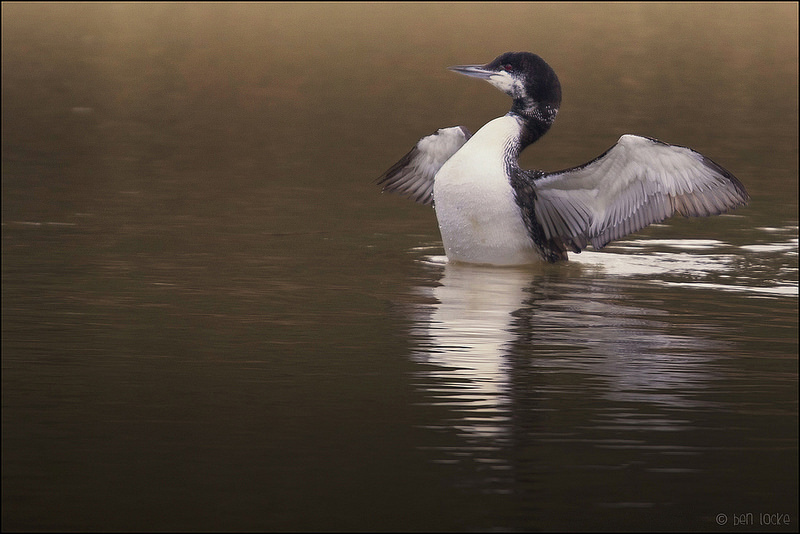 The Great Northern Diver is the largest of the UK divers. It's a specialist fish eater, and can dive as deep as 60 metres. Whilst watching this bird it would sedately drift on the surface of the lake, but once it was underwater, it could appear literally anywhere on the lake in a very short space of time. Since this bird, all other Great Northern Divers I've seen have been distant and at sea - which is more typical for divers.